Home / News / ACT@Scale Final Workshop at ICIC19! The ACT@Scale consortium is thrilled to host its Final workshop in collaboration with the International Conference on Integrated Care 2019. The collaboration with ICIC19 supports the synergy between ACT@Scale’s primary focus on implementation and scaling up, and ICIC19’s general focus on integrated care. The conference takes place the 1st-3rd of April in San Sebastián, Basque Country in Northern Spain. The ACT@Scale session is supported by the European Commission and takes place on April 2nd, 12.30 – 13.30 in Room 1. 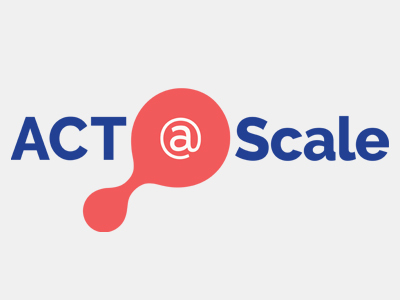 Over the past 3 years, ACT@Scale has tapped into experiences from successful real life deployment projects in 6 European regions and assessed real world services. By linking drivers (Stakeholder and Change management, Service Selection, Sustainability and Business Models, Citizen Empowerment) and outcomes, ACT@Scale is now ready to present our take on how to change care service delivery in European regions and beyond. ACT@Scale has received funding from the European Commission in the framework of the Health Programme under grant agreement 709770.